We are a long established local society with a large new meeting room in Clay Cross and looking to attract new members. 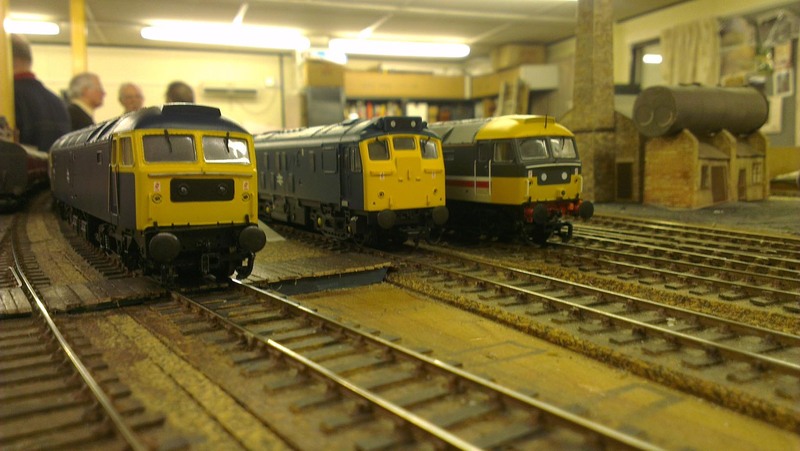 The Clay Cross Model Railway Society is a Charitable Trust with the objective of advancing the education of the public in all aspects of railways and model railways. In order to fulfill this objective we have erected a new meeting room in Clay Cross in which to build fine-scale model railways, accurately representing the railway heritage of the East Midlands. We hope to exhibit these model railway layouts to the public at exhibitions throughout the country. In order to build better layouts, we shall study our railway heritage and improve our modelling skills through structured and mutual improvement. 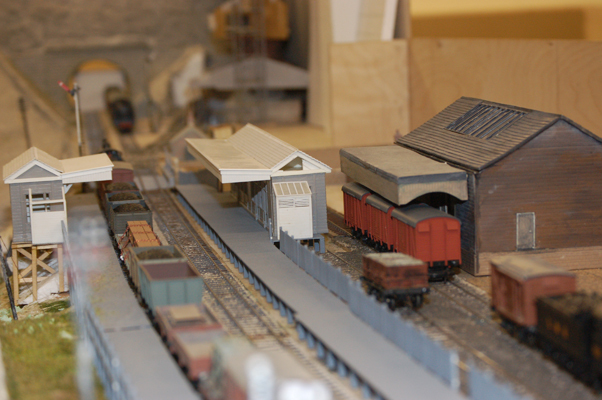 If you want to build better model railways, please come along and see what we have to offer. Photos, Top, the impressive station buildings on Penmore, by Arnie Buxton, bottom left, a scene from Hindlow, looking towards the lime kiln end, and bottom right, two 47's and a '25' lined up in "Penmore", on a running night.